Expected symptoms: Minor stomach irritation and possible constipation or diarrhea. What to do: Wipe out mouth with a wet wash cloth and give your child a drink of water to wash the antacids down to the stomach. 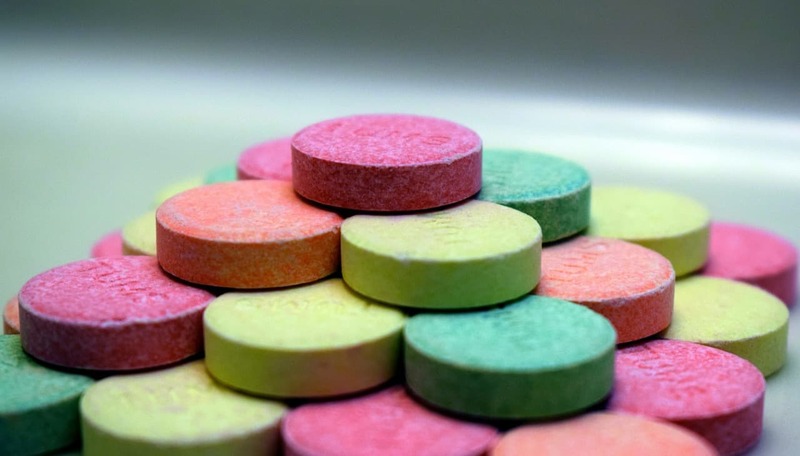 Antacids are an over the counter medication which come in liquid, effervescent tablet, chewable gummie and tablet form. They are used to treat acid reflux, heartburn and indigestion by neutralizing stomach acid. Ingredients can vary and may include aluminum hydroxide, magnesium hydroxide and calcium carbonate. Some have an added ingredient simethicone which helps to break up gas bubbles. The liquid and tablets come in a variety of flavors which makes them taste good. Antacids are different from medications such as Zantac® (H2-blocker) and Prilosec® (proton pump inhibitor) which also help to reduce stomach acid. Children frequently eat antacids because the child likes the taste of the tablets or gummies. Often they will eat as many as time allows before an adult intervenes to stop them. A one-time ingestion of antacids is not a big problem. There can be some stomach upset, and maybe diarrhea or constipation. Significant complications involving antacid products comes as a result of chronic usage, typically this happens with adults or medication errors. If you find your child eating an antacid, do not panic. Take the medication away from them, wipe out the mouth with a soft, wet cloth and give them some water to drink. If problems start or you have questions, call the Missouri Poison Center right away at 1-800-222-1222. The poison center is open all day, every day for poisoning emergencies and questions. If your child has any diagnosed RENAL (KIDNEY) problems, call the Missouri Poison Center right away at 1-800-222-1222. The extra calcium, magnesium or aluminum in the antacids may be too much for the kidneys to handle.